Though Sherlock‘s fate is still hanging in the balance, showrunners Steven Moffat and Mark Gatiss are busy working on a different TV show for the BBC. Intended to be a “stablemate” of the hit detective drama, the duo are putting together a reinvention of Bram Stoker’s classic vampire novel Dracula. So, it sounds like the show will remain in the original Victorian setting of the novel. Fans of the Sherlock Christmas special, “The Abominable Bride,” which took Holmes and Watson back to the 19th century (via a mind-bending dream sequence narrative) should certainly be pleased with this news. Mark Gatiss previously revealed that he and Moffat were planning to start writing the scripts for the series in March, so we can assume that the pair are currently knee-deep in that. We have no idea what the cast will look like, but Gatiss has teased that – if he was to act in the show – he’d like to play the Count’s lackey, Renfield. 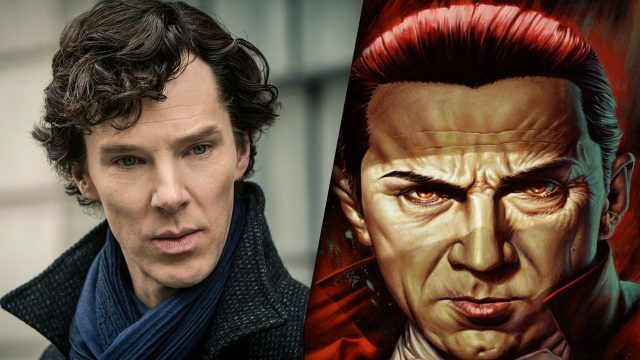 Moffat also reiterated on Norton’s show that Dracula would be produced in the same format as Sherlock and will consist of 3, 90 minute episodes per season. Gatiss, meanwhile, estimates that the writers will be working on the production for the next couple of years, at least, and given that it sounds like they’re taking their time to get it right, there’s no word just yet on exactly when Dracula is expected to air. As further updates surface, though, we’ll be sure to let you know.